She went on to say: “Everyone, students and staff, deserves congratulations for their commitment and energy as they worked together towards the GCSEs. It was fantastic seeing students, staff and parents at school this morning sharing this success. I wish everyone the best of luck as they move onto some exciting opportunities in a range of 6thform settings. The science department were delighted that 100% of all grades in Biology, Chemistry and Physics were 9 – 8, which means that last year everybody would have been awarded A*. 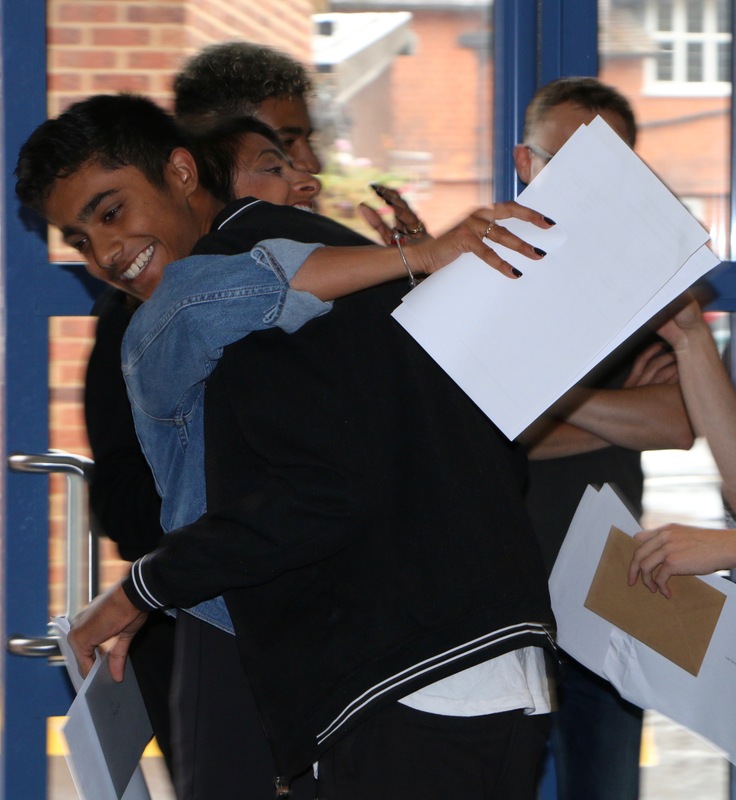 100% of Geography, Computer Science, German and PE students were grade 9 to 7 (A to A*). Some of the individual stories were particularly pleasing. Raoul Parekh achieved 5 grade 9’s showing that hard work and dedication does pay off. His results were particularly impressive as he managed this as well as being Head of Sport and a host of other extra curriculum activities.